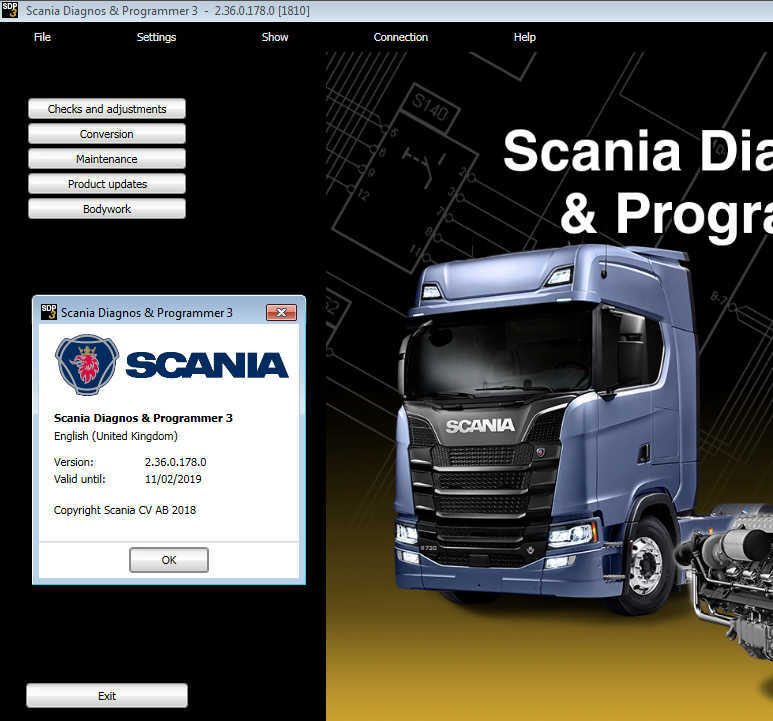 Scania SDP3 is a PC-based diagnostics application software for Scania trucks, bus chassis and Scania engines. The Scania SDP3 application includes fault code reading, assisted trouble shooting, parameter settings and more. SDP3 shall be installed on a PC/Windows platform, and connect to the vehicle through a vehicle communication interface (VCI). Today’s vehicles and especially today’s electrical systems with their control units and distributed functions place greater demands on tools and technicians. It is both time-consuming and complicated to carry out troubleshooting on vehicles of such complexity. SDP3 has therefore been designed to support the mechanic during troubleshooting and thus reduce downtime. SDP3 also supports the troubleshooting of industrial and marine engines.An advantage of SDP3 is that there are more possibilities than before for the individual item, i.e. the vehicle or engine to which you are connected, to give a description of itself. SDP3 makes use of this and only displays information relevant to the vehicle/engine to which it is connected. Support Win7 64 bit system.WIN 10 32bit WIN10 64 bit (Tested by individual, so try on your own risk). Note: The USB key and VCI must not be connected to the computer during the installation of SDP3, especially if SDP3 is not installed for the first time. Installation & Activation: remote assistance via Teamviewer (one time free activation), easy and save time.